DJ Koh, Samsung’s mobile boss, has confirmed that the company will launch its next flagship Galaxy S smartphone at Mobile World Congress in Barcelona next month, according to a ZDNet report. The report says Koh made the announcement at a press conference during the CES trade show in Las Vegas. ZDNet does not explicitly confirm that the new phone will be called the “Galaxy S9,” but any name other than that would be a surprise. Earlier reports suggested that Samsung would show off the Galaxy S9 and the larger Galaxy S9+ at CES this week, but that hasn’t happened. Samsung unveiled the current Samsung Galaxy S8 and Galaxy S8+ at its own “Galaxy Unpacked” event in March last year before putting the phones on sale in April. For several years prior to that, however, the company first revealed its latest top-end smartphones at Mobile World Congress, a major conference for the mobile industry. This year’s MWC takes place from February 26 to March 1. History suggests that the Galaxy S9 (and, presumably, the Galaxy S9+) would then go on sale some time in late March or early April, though an exact release date is still unknown. Samsung did not immediately respond to a request for comment. 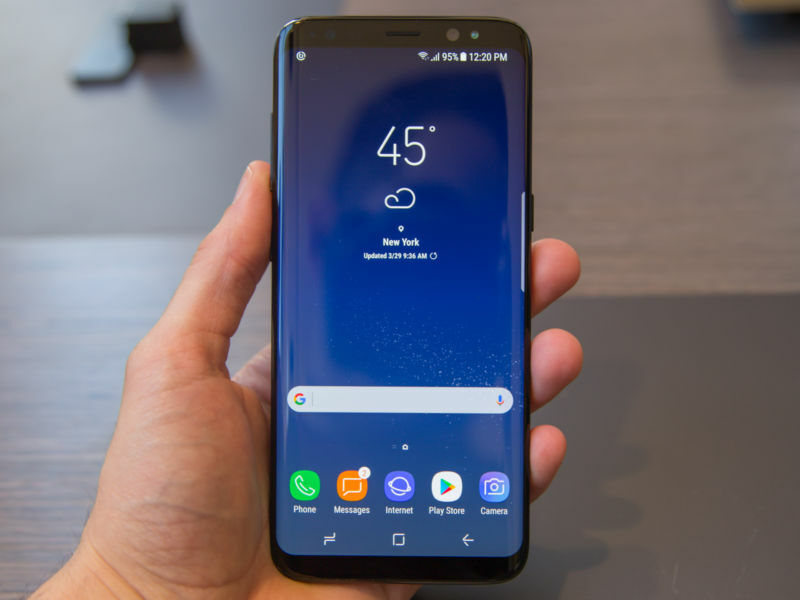 Details about the next Galaxy flagship are relatively scarce at this point, but the phone isn’t expected to be a radical departure from last year’s Galaxy S8, which featured a drastic redesign and was generally well-received by critics and consumers alike. Expect the US model to feature Qualcomm’s new Snapdragon 845 SoC. Besides the Galaxy S9, Koh reportedly said that Samsung will launch the next iteration of its much-maligned Bixby voice assistant this year and that it’s looking to launch its long-rumored “foldable” smartphone some time in 2019.